Christmas is the time of year we all want to make a good impression. 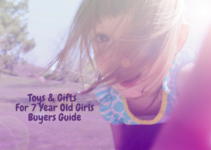 We not only enjoying picking out the most unique and interesting gifts for our loved ones, but we also love the joy it gives us to watch them open them up, be surprised, and then start using the cool new stuff we got them. Men can be notoriously difficult to shop for. However, if you keep one thing in mind, it can make shopping for the best Christmas gifts for men easy and simple from now on for forever. Men are just big boys at heart. Any kind of fun toys, building, flying, drone-like devices or opportunities are the kinds of things which make men love your gifts. 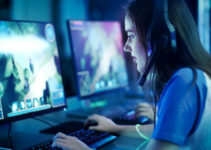 In fact, anything that involves full body involvement is notoriously loved by guys, such as bike parks, All-Terrain Vehicles, parasailing equipment and anything fun for diving, flying, and adventure. Of course, if you’re just looking for a basic, simple, below a thousand dollars type of gift, there are great options for that, as well. Now, remember, the weirder and funkier, the better and we believe that we have all of that covered for you below in our best Christmas gifts for men guide. Happy Shopping! Your cat, being naturally evil and secretive in their heart of hearts, does need to be guided carefully through whichever one of their lives they happen to be sharing with you. The man in your life will appreciate the heads up about how much his cat needs to learn and how important his kitty will find these helpful life suggestions. 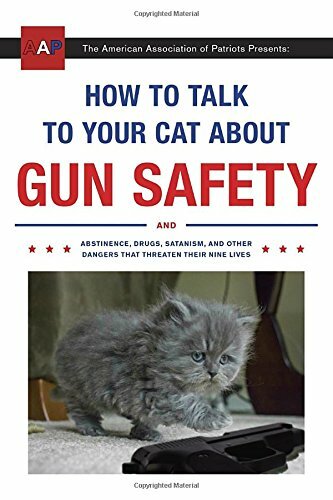 In fact, not many cat owners realize how much they need to spell out for their felines about the importance of abstinence, internet safety, and of course, firearms. Be sure and help your man keep his cat ownership skills intact and up-to-date with the times. Many cat owners believe that their felines only have to worry about dogs, taking baths, and how long their ball of yarn will hold out. Not so, not so. In the age of technology, cats have become far more sophisticated. This book will help. Your man can traipse unimpeded across the galaxy in search of Earth with his very own collectible robot Cylon in tow. In fact, this will be a nice piece of imagery to add to your nightmares while you watch him watch his favorite show. This particular collector’s edition comes with 17 DVD’s with the entire show, director’s cuts, bloopers, nasty little secrets about the actors and actresses, as well as little bits of the storyline which were considered, edited, and then changed in the end. Your guy will love how incredibly realistic, futuristic, and terrifying the whole experience is! If you’re lucky, he’ll even con you into watching the entire series with him and you’ll learn more about the Twelve Colonies, the robotic Cylons, and the battle for humanity’s existence than you ever wanted to know before now. 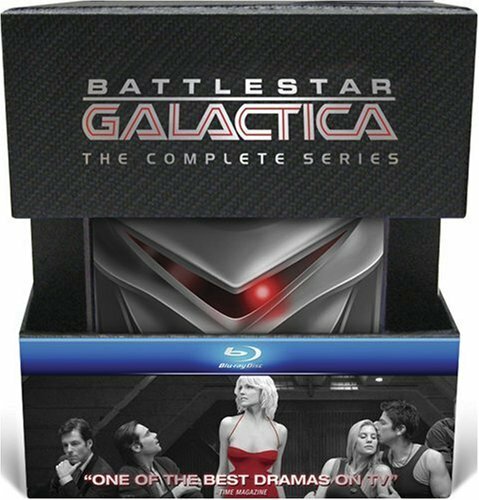 With his friendly Cylon “toaster” tucked safely under his arm, he can enjoy the entire box set in multiple formats to fit any set of equipment you might happen to have, including Blu-Ray, DVD, and Multi-format. If your guy is a “Trekkie” you can still satisfy his deepest desires. This futuristic and quite weird-looking Enterprise-class starship from the entire Star Trek world will delight and astonish your Vulcan-loving genius. The nightlight (or weird room decor) will turn every color in the rainbow that he might want it to be, the lights appear to form a holographic image in mid-air, thus adding to the mystique of the object, and the brightness of this spacey bit of cheer will keep your home and hallways full of safety for nighttime bathroom goers. Naturally, you’ll want to match the light to the decor of your home. 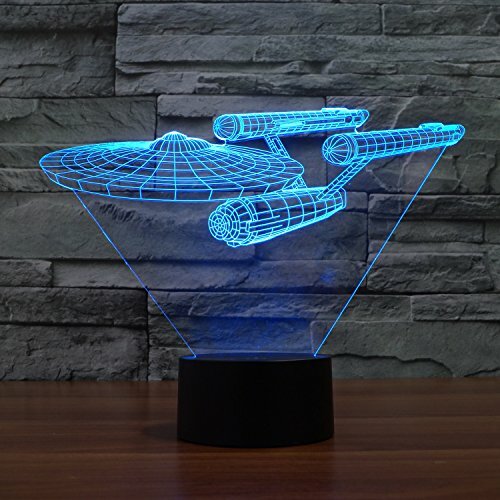 Naturally, this light will attract other Trekkies into your home but never fear: they will not approach you unless you are hiding Cheetohs anywhere on your person. In the meantime, help your fellow to enjoy the complete and total effect of the light by having it shine in his path of vision while the two of your enjoy binge-watching one of the famous series together, from beginning to end. If you can make cookies with the Federation logo, all the better. Be sure and round off the night by discussing the Vulcan mating practice of Pon Farr. This t-shirt is great for skinny, flabby, fat, and muscley guys alike. In fact, every man under the sun will find this t-shirt strangely and mysteriously appropriate as the perfect description of his own physique. It comes in every color and looks great on every body shape. Your guy will bask in his masculinity and (surprisingly) strong body when he gets this tank-top and he will enjoy every minute of the cooing and fawning which, of course, must inevitably follow. 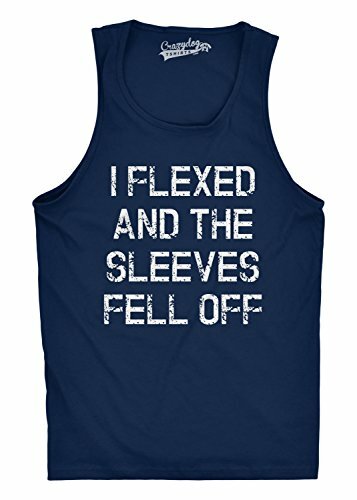 Treat your guy to the best of female, family, and friend admiration by getting him this workout tank top. Naturally, you’ll want to do a little oohing and ahhing yourself. Now, if your man is not the “workout tank” wearing type, don’t worry. No guy has ever turned down a blatant declaration of their strength and massive abilities, especially when compared with anyone else’s abilities. This tank top will work every time without fail, we’re sure of it. All guys want to think of themselves as having army buddies, military excursions, and plenty of overseas adventures… whether they’ve ever joined up or not. This amazing, black, industrial-looking, and awesome men’s survival kit will make them believe that all of their dreams really have come true. In fact, their dreams will be so real that they may immediately pack the family up and take you all camping, hiking, shooting, fishing, and hunting right away. Be sure and bring a toothbrush. 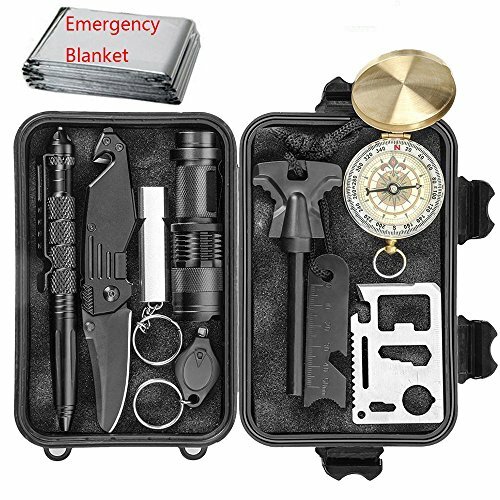 Anyway, this handy kit comes with an emergency blanket, a tactical knife (be sure and use the word “tactical” a lot when pointing out its features to him), bottle opener, seatbelt cutter, glass breaker, luminous compass, a mini flashlight, and a flint stone and scrape for starting fires. If you really want to impress him, ask him to show you all of these features himself and then show you how to use all of them. The fun will be in deciding what goes where and how useful those things would really be out in the wild. This beard grooming kit comes with everything: beard oil, beard balm, brush and scissors, shampoo, conditioning oil, and a 100% satisfaction warranty. Now the oil has Tea Tree Oil and Vitamin E, the balm has grapeseed oil and bee’s wax, and the scissors are well sharpened and ready to go. Help your furry little friend feel at home and in good hygienic condition with this grooming set. Not only will this show that you support his scraggly growth (and that, of course, it doesn’t tickle), but it will give him lots of use for the future when he wants to change his look without shaving anything off. Help him keep his beard and mustache nice and soft and touchable with this grooming kit, and use the brush when the blunt cut tips of his beard hair are too rough against your skin. The brush and the balm will make everything a lot more touchable and therefore a lot more enjoyable. 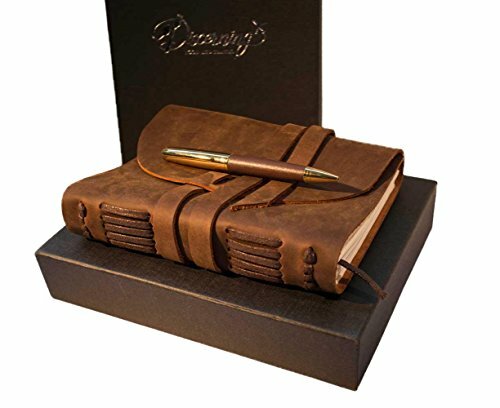 This rugged leather journal is for the writer, photographer, artist, painter, and journalist in your life. If your guy is thoughtful, discerning, nature-loving, and good with pen and ink of any type, then this is the perfect gift for him. Sketching an image, outlining an idea, scheduling an important event, and simply journaling his thoughts are all necessary to the Man of Books in your life. 1. For Photographers: Glue a picture of you, his family and/or his favorite photos inside the covers of the book. 2. For Writers: Share your 20 Top Favorite Things About Him in the first few pages, front and back, so that he can read it like a book. 3. For Naturalists: Find out his favorite plants and dry and glue them to the first few pages of the book. In fact, take it a step further and put yours and his favorite plants, seeds, and petals side-by-side on each page so that he can share your love of nature, too. 4. For Journalists: Find the most famous/controversial news stories from his favorite journalists and paste them into the page every ten pages to inspire him in his work. 5. For Artists and Painters: Scrapbook magazine pictures from your favorite interior design, your favorite nature scenes, and your favorite photos and paste these into the pages. Be sure and include paint chips from your favorite hues and your favorite color combinations to inspire him in his own ideas. In essence, a well-used book is a perfect book to have. By enabling him to flip through interesting pages and look back at past inspirational memories, you are helping your artist to create and transform his next great work. Men love adventure. They love knowing and understanding things face-to-face, where they can see and touch and feel them with their hands. 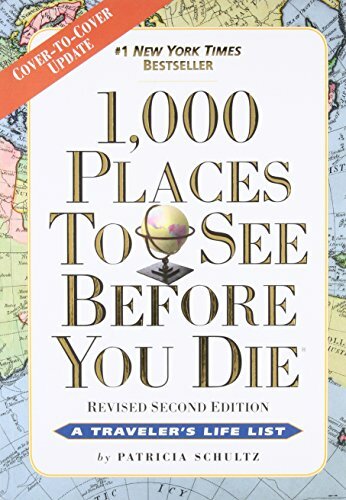 This book gives you the clear, concise idea of WHY you should go there, WHAT you can do there, and the HISTORY that makes that place so awesome. This book goes into every place in the world, all the continents, all of the ultra-special, human-stories places you can go and worship at the altar of incredible points in history, incredible moments in time, and places where beautiful, human-history-changing people touched the world in a meaningful and permanent way. Your fellow will love paging through intricate and powerful moments in history where they can actually visit, actually touch important objects, and actually, combine their own moment in time with the past. Centuries of the past. This book is a great gift for young and old alike because you never know when you’re going to want to go on an adventure of your own. By giving them this piece of information, you are giving them the ability to decide if they want to go now, later, or when they have retired. And, believe us, they will start making plans. And you will have been part of those plans. “I solemnly swear that I am up to no good.” These immortal words of the infamous, red-headed twins, Fred and George Weasley, will burn in the pages of history forever. Give your man a little bit of this history and something that he can hold as his own by giving him this awesome mug. 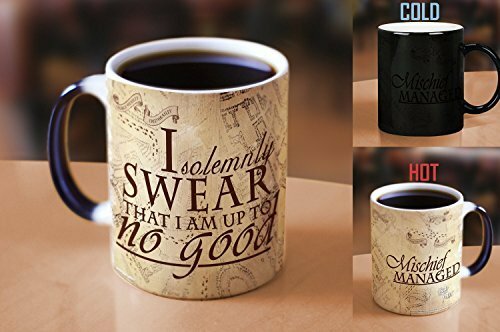 It changes color under heat so that the black Marauder’s Map text turns into the Parchment of the actual map itself with “I solemnly swear that I am up to no good” etched on it. The cup is magnificently made and the effect of this mug with his favorite cup of coffee in the morning will cheer him up to no end. Remember to carefully follow the washing instruction, washing it by hand if necessary, and make sure that he follows them, as well. Even if the kids have not got all the way through the books yet, they will know and understand this very early on and they will delight in the magic of it. And let’s face it, magic is might. Long have men claimed the barbecue, the grill, to be their territorial domain. Long have they touted cooking meat over a fire as the supreme act of manhood supplying food and sustenance and primal caveman strength to his family. 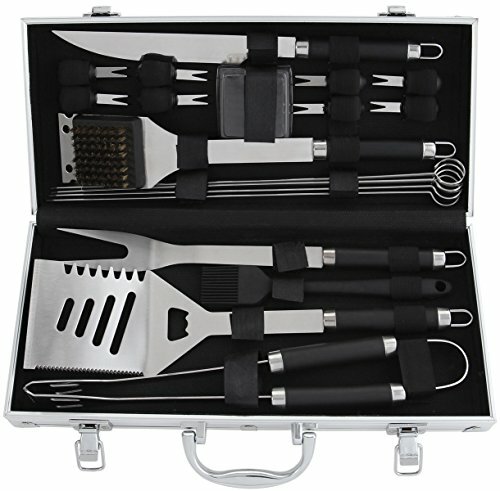 This grill set comes with a grill cleaning brush, tongs, a grill fork, four skewers, knife, a basting brush, eight corn holders, a 4-in-1 spatula and an aluminum case. The spatula is good for cutting, flipping, tenderizing, and has a built-in bottle opener. Meat, vegetables, and cold drinks are all that is necessary for a family dinner, a neighborhood party, cards with the guys, or camping with the kids. Tease him that you were planning on using his set for squash and zucchini and then go out and buy him a set of steaks to go with it. These gifts in our best Christmas gifts for men guide, are perfect for your man and you can participate in the use of all of them! 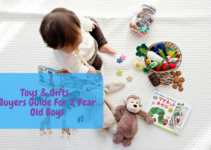 Be sure and wrap them up in army camo wrapping paper, stick a silver tag on them, and write a heartfelt card telling him how much he means to you. After all, it’s not every day that you can give the man in your life the perfect Christmas gift.